Our very good friend came to visit from abroad and we set some time to do Beauty headshots. We were lucky to have booked Vanessa Villa Make-up Artist from Studio Verve. Make-Up plays a huge roll on this type of pictures; it enhances the model’s features and ensures for a good investment on your portraits. Headshots are great for starting a portfolio, business profile picture or for the simple reason of having professional photographs. 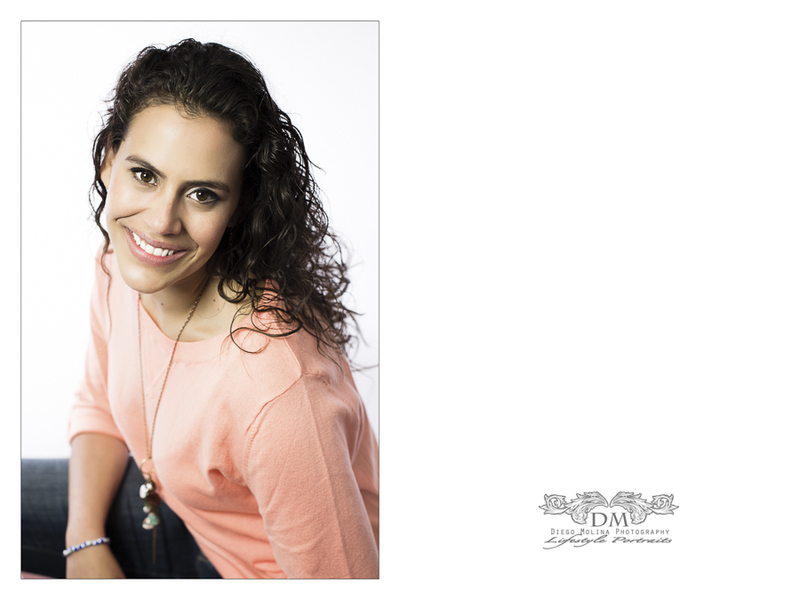 Diego Molina professional headshot photography studio on of the best portrait photographers in NYC. When creating a professional model portfolio, you want to include as many versatile shots as possible. Some of the best modeling agencies provide model hopefuls with specific criteria to include, such as editorial shots, bridal, body shots and/or headshots. Your modeling portfolio can make a difference on whether you book a job or not. It will show a casting director how versatile and professional you are; it should represent your personality and the effort that you are willing to commit to. If you have experience, your portfolio can be done in one session. Some experts recommend having your modeling portfolio be a creation of multiple sessions and shots and most importantly to keep it up to date. New York fashion photographer ModelYourPortfolio © is one of the most celebrated beauty and fashion photographers in the Big Apple. ModelYourPortfolio is a master of his art and specializes in shooting high-end campaigns, editorials, beauty, advertising, high fashion, and luxury brand shoots. Modeling portfolios are fun to create. They allow the fashion photographer and the model to work together to choose the best looks that will enhance the model’s features. The portfolio should showcase the model’s versatility and beauty. In this modeling portfolio photo shoot, we were able to create some fabulous shots at the studio and then move to the planned location to incorporate beautiful and hard light on the shots. I had the chance to work with talented Model/Actress Kim Marie for some headshots and fashion portraits recently. She is versatile and committed professional and currently one of the four Beauty-Finalist at all ages. The casting call was held in New York City. I’m very proud my images have a part on this and thrilled to have taken these great headshots of her at my studio in New Jersey. Using a professional photographer for your headshots or beauty shots opens a lot of doors of opportunity for you. The best modeling agencies appreciate well-crafted images and make the best use of them.